Sunday, July 6, 2014 • 5:30 p.m.-6:30 p.m.
Join Margo Garrett as she works with a singer/pianist team in this interactive coaching session, and see how a master coach works with both singer and accompanist to develop their individual and collective performance. Audience involvement in the process will be encouraged, and time for questions and answers will be provided. 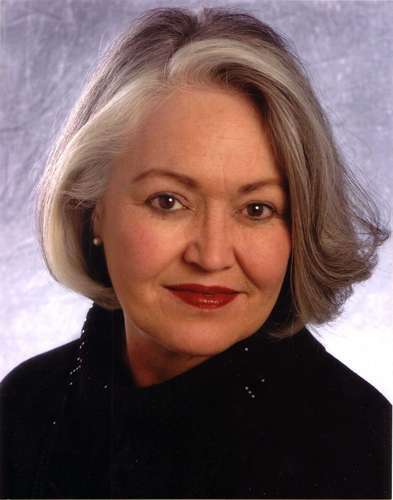 The large roster of artists with whom pianist Margo Garrett has long performing relationships include sopranos Kathleen Battle, Barbara Bonney, Elizabeth Futral, Beverly Hoch, the late Judith Raskin, Lucy Shelton, Dawn Upshaw, Benita Valente, mezzo Shirley Close, tenors Anthony Dean Griffey and Paul Sperry, violinists Jaime Laredo and Daniel Phillips, violist Paul Neubauer, cellists Sharon Robinson, Matt Haimowitz, the late Stephen Kates, and clarinetist David Shifrin. With these and other artists, Ms. Garrett has premiered over 30 works. Her recordings can be found on Albany, CRI, Deutsche Grammophon (1992 Grammy for Best Vocal Recital), Dorian, Musical Heritage Society, Nonesuch, Orion and Sony Classical. A devoted teacher, Garrett headed the newly created Collaborative Piano Department at The Juilliard School from 1985–1991 and subsequently became the first holder of the Ethel Alice Hitchcock Chair in Accompanying and Vocal Coaching at the University of Minnesota’s School of Music, the first privately endowed collaborative chair in the US. In 2000, she returned to and remains a member of The Juilliard School’s Collaborative Piano faculty. Garrett directed the Tanglewood Music Center vocal fellowship program for the last six of her 19 years of teaching there (1979-1997), was awarded the 1989 American Society of Composers and Publishers (ASCAP) Most Creative Programming Award and, from 1999 through 2006, was Faculty Chair of The Steans Institute for Young Artist’s vocal and chamber music programs at Chicago Symphony’s Ravinia Festival. Recent seasons have found Garrett in residence at the Hochschule für Musik in Munich, a judge at the 15th International Schumann Vocal Competition (2008) in Zwickau, Germany, the Gina Bachauer International Piano Competition and Joy in Singing, both in New York, in residence at Vancouver International Song Institute, Taiwan Normal Teacher’s University, The Music Academy of the West, at the Internationale Meistersinger Akademie in Neumarkt, Germany and at The Mannes School. Ms. Garrett’s latest recording, the songs and vocal chamber music of Philip Lasser, for Delos and with sopranos Elizabeth Futral and Susanna Phillips, was released in early 2013.